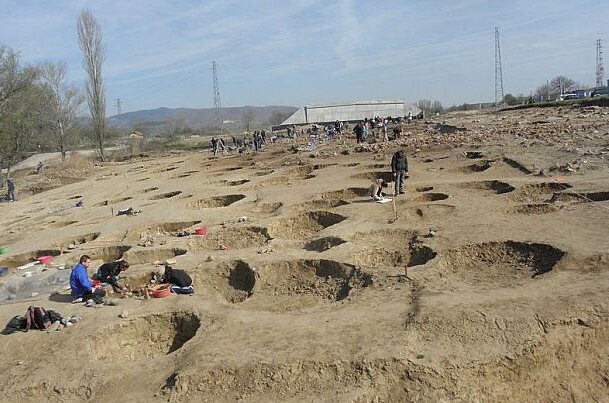 The prehistoric city at Mursalevo was first discovered in April-May 2014 during rescue excavations preceding the construction of Lot 2 of the Struma Highway, which is to connect the Bulgarian capital Sofia with Kulata Crossing on the border with Greece. Because of the significance of the discovery the deadline for terminating the excavations has already been pushed back twice. 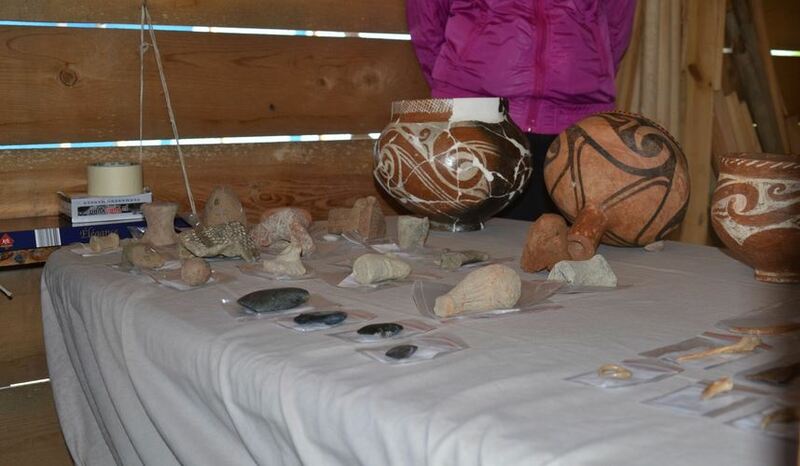 The archaeologists from the National Institute and Museum of Archaeology of the Bulgarian Academy of Sciences have now unearthed further the prehistoric homes dating to the 6th millenium BC. These prehistoric houses, each one of which is at least 7,500 years old, have now emerged to be 7-8 meters tall, with two-sloped roofs, and a built-up area of between 60 and 100 square meters, reports Bulgarian news site Dnevnik. 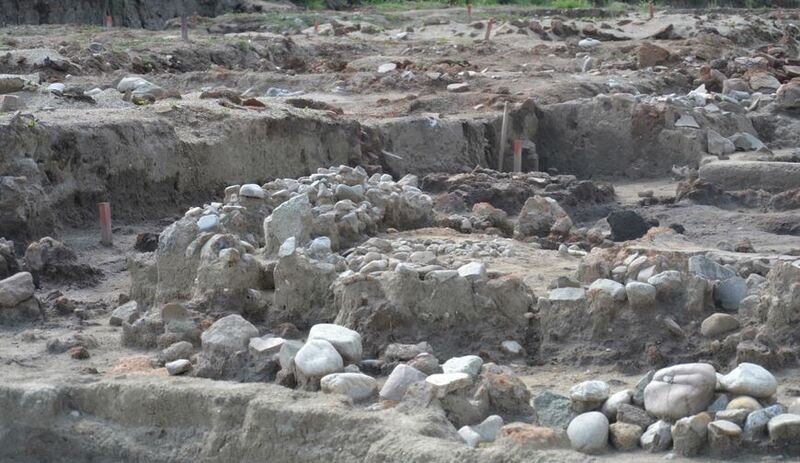 According to the Bulgarian archaeologists, the prehistoric city near the town of Mursalevo in Bulgaria’s Blagoevgrad District was inhabited by the earliest European civilization. So far they have dug up some 60 prehistoric homes, which can be seen in situ by June 28, 2015. After that the archaeologists will dismantle the prehistoric houses to excavate the deeper layers beneath them before the beginning of the construction of the respective section of Struma Highway. The other impressive feature of the prehistoric settlement at Bulgaria’s Mursalevo is its size – it covers an area of at least 20 decares (app. 5 acres). The houses are made of wattle and clay. Their walls are about 20 cm thick, and they are situated in accordance with the path of the sun. The prehistoric city was set between two gullies on the bank of the Struma River, and it is believed that its inhabitants even dug up a canal which they used as a port for their river boats. “There will be two exits on the highway nearby. That way the tourists will be able to go down and see this Neolithic settlement. So far we have discovered over 4,000 artifacts which are enough to fill up a large museum. The settlement had an area of 20 decares. It had unique houses, some of them with two storeys. We have explored 60 buildings so far. Some of them are 7-8 meters tall, and have an area of up to 100 square meters, which attests to high technological advancements at the time,” explains Prof. Vasil Nikolov, lead archaeologist of the excavations, as cited by the Bulgarian daily Standart. He has assured that the archaeologists and their team work as quickly and intensively as they can, excavating for 10 hours a day, including the weekends, in order to make up for any rainy days. Their team on the ground includes over 130 people, of which 30 are experts. They are receiving help from archaeologists from Scotland (an osteoarchaeologist), Serbia, and Belgium. The prehistoric city at Mursalevo has perfect urban planning which is said to be the only one of its kind on the entire Balkan Peninsula. It has three parallel main streets and several more narrow streets perpendicular to them. Thus, quarters, or neighborhoods, of 3-4 houses each were formed. According to the Bulgarian archaeologists, this setup requires a strong social organization and very good specialists preliminary settlement planning. 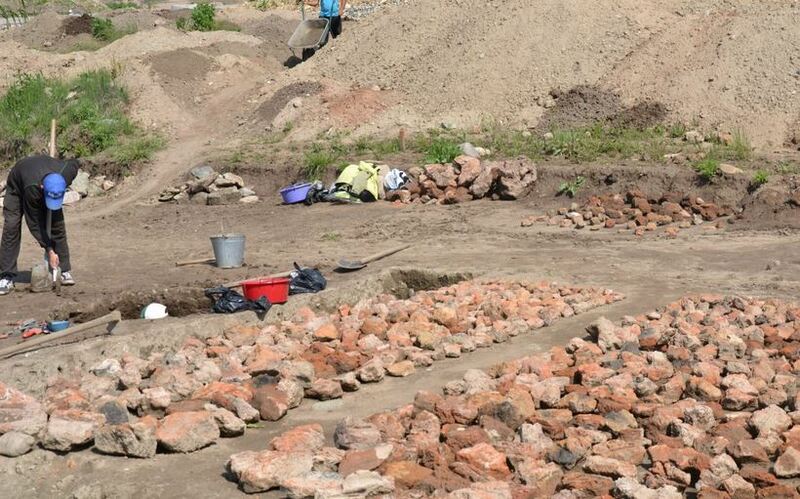 Until recently, the preliminary planning of the prehistoric settlements has been seen as an “unwarranted hypothesis” but now the excavations at Mursalevo are said to have confirmed it. 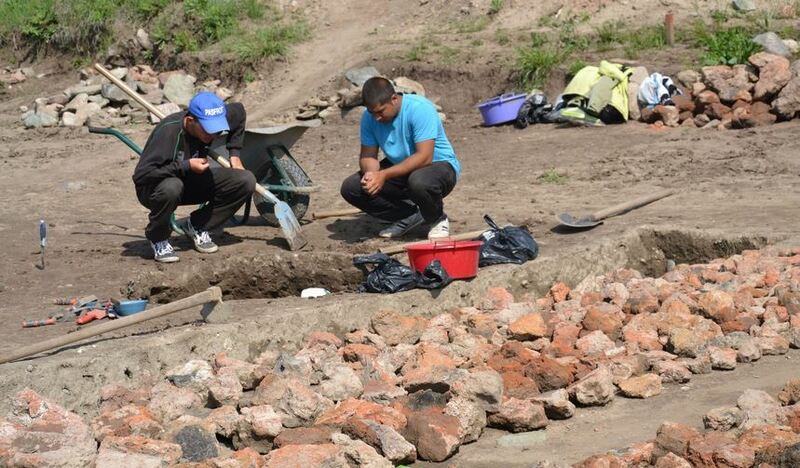 One of the most interesting discoveries made by the Bulgarian archaeologists at Mursalevo is the evidence for the deliberate burning down of some of the houses in the prehistoric settlement. Archaeologist Assoc. Prof. Krum Bachvarov points out that in the past 20 years there has been a debate in Europe as to whether such deliberate arsons committed by the very inhabitants of the homes really existed. Now the Bulgarian archaeologists claim to have found “unequivocal evidence” for this prehistoric practice even though they still cannot explain the reasons behind it. However, they have discovered that the prehistoric inhabitants did not burn down the entire settlement but instead burned down only individual homes, and at different times. The deliberate setting on fire is proven by the fact that the houses had been filled with firewood in advance. This practice was complicated because in that period firewood was scarce in Mursalevo’s region, and the prehistoric people probably had to come together and make numerous group trips in order to harvest and bring back enough firewood, a clear indication that the burning down of the respective homes was not only deliberate but also carefully planned, explain the Bulgarian archaeologists. However, the arsons of the Early Neolithic homes in the 6th millennium BC have turned out to be of help for modern-day archaeologists because the clay making up the house walls was “additionally baked”, and has thus been preserved in a very good condition. “We can say almost for sure what exactly some of the houses looked like, how large they were, etc,” says Prof. Nikolov, adding that even the exact places of the beams used for the construction are visible. The Bulgarian archaeologists say the inhabitants of the largest Neolithic settlement found in Southeast Europe to date were agriculturalists who worked the land nearby and raised livestock, and sometimes went hunting. That is why their religion was connected with fertility and the cult of the Mother Goddess. The Early Neolithic city was inhabited for a period of about 500-600 years. Because of the very significant discovery of the Early Neolithic city at Mursalevo the Bulgarian authorities are going to modify slightly the route of the Struma Highway in order to provide enough space for the construction of an open-air museum on the site. 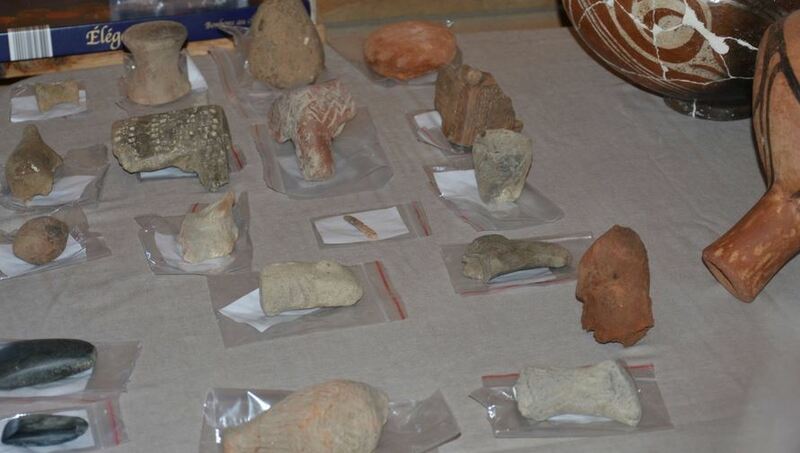 Bulgaria’s Ministry of Culture has requested from the lead archaeologists of the rescue excavations, Prof. Vasil Nikolov and Assoc. Prof. Krum Bachvarov, to come up with a project for the future museum. They already have in mind an open-air museum with an area of 5-7 decares (app. 1.2-1.7 acres) where the remains of the Early Neolithic homes will be exhibited under glass domes. “It is a good thing that we have the support of the politicians and the understanding of the Road Infrastructure Agency. A 6.5-meter concrete wall will be erected to preserve part of the terrain. We hope to be able to continue the excavations to the left of the future highway in the direction of Greece, and to create an open-air museum on a plot of 5-7 decares,” Nikolov explains, as cited by the Standart daily. In the several months of rescue excavations so far the Bulgarian archaeologists conducting the rescue excavations of the 8,000-year-old Early Neolithic city near Mursalevo in Southwest Bulgaria have also found several graves from the Late Neolithic dating to the end of the 6th millennium BC. After the Ancient Thracians, in the Late Antiquity and Early Middle Ages, the place was inhabited by Slavs who lived in semi-dugouts.